Olive oil is a staple of Mediterranean diets, and has been gaining traction throughout the world as a healthy alternative to butter and vegetable oil. In Jewish tradition, it has also served an important religious function—fueling lamps and anointing leaders. Surprisingly, new archaeological research has uncovered evidence that people were producing olive oil in Israel and the Mediterranean basin area at least as far back as 8,000 years ago—well before God revealed Himself to His chosen people! In a recent study published on November 24, 2014 in the Israel Journal of Plant Sciences, test results were released taken from pottery at a Bronze Age archaeological excavation in En Zippori, Israel. A team of researchers headed by Ianir Milevski and Nimrod Getzov from the Hebrew University of Jerusalem Institute of Earth Sciences, along with the Israel Antiquities Authority, used samples of the pottery shards found at the dig in order to conduct an organic residue analysis study. They found that these fragments contain high traces of olive oil. Two of the unearthed vessels found at the site dated back to 5,800 BCE, and are believed to have been used to store olive oil. 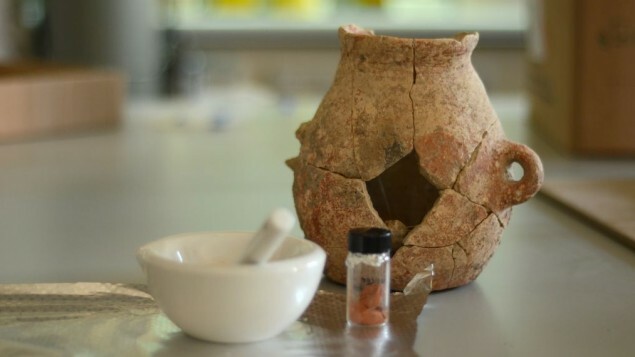 One of the most amazing facts regarding this discovery is that the traces of olive oil found in the pottery show a remarkable similarity to modern-day olive oil! Olive trees in Israel have been nurturing life in the Mediterranean for over 8,000 years, and with any luck, will continue to sustain life for 8,000 more. Read more about this fascinating story at The Times of Israel.